DOES KATZKIN® OFFER LEATHER INTERIORS FOR ALL CARS AND TRUCKS? YES! The Katzkin® product line is comprehensive and is constantly expanding. They offer over 2,500 vehicle applications for virtually all mid-market vehicles on the road today. Unfortunately, they do not make interiors for luxury vehicles that come with leather from the factory. If you do not see what you need on our Leather Seat Installation Portal Page, please contact the Andrew Toyota Service Manager, Allen Good, (414) 509-2781, or email him at agood@andrewtoyota.com. HOW DOES THE QUALITY OF A KATZKIN® INTERIOR COMPARE TO A FACTORY-INSTALLED LEATHER INTERIOR? Katzkin® leather interiors are produced from the finest imported automotive leathers and are specifically engineered to meet or exceed factory performance specifications. IS A KATZKIN® PRODUCT A SEAT COVER THAT I CAN INSTALL MYSELF? No, these are not seat covers. This is a complete interior transformation. A Katzkin® authorized professional installer at Andrew Toyota will remove all of the cloth from the seats and replace it with a new leather interior, complete with door panels and console covering (depending upon the vehicle). A good rule of thumb: if it has cloth on it, we will replace that cloth with leather. DOES KATZKIN®LEATHER COME WITH A WARRANTY? Yes. Every Katzkin® leather trimmed interior is backed by a 3 year/36,000 mile national warranty. CAN I FINANCE A KATZKIN® INTERIOR AS A PART OF MY NEW CAR LOAN? With a new vehicle loan, qualifying consumers can finance their interior, often for as little as $29 per month. 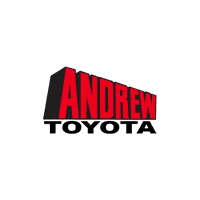 * Please contact an Andrew Toyota Manager for exact pricing for your vehicle. HOW LONG DOES IT TAKE TO GET KATZKIN® LEATHER INSTALLED? In most instances, your Katzkin® leather trimmed interior will be delivered with your new vehicle when you purchase at Andrew Toyota. As a Katzkin authorized installer, we can generally install your new interior in 2 days or less. HOW WILL MY NEW KATZKIN® LEATHER INTERIOR AFFECT MY AIRBAG AND OCS SYSTEMS? We perform a detailed inspection of each seat and our interiors are designed to maintain the integrity of the original airbag and OCS systems. We also perform ongoing safety testing using OEM factory specifications to ensure we continue to meet all factory requirements. WILL KATZKIN® LEATHER ADD VALUE TO MY CAR? If given a choice, most consumers prefer leather. Leather not only provides visual appeal and comfort, but also has tremendous practical value due to ease of clean up and maintenance. HOW SHOULD I CARE FOR MY NEW KATZKIN® INTERIOR? ARE KATZKIN® INTERIORS 100% LEATHER? Katzkin® leather content will always meet or exceed the leather content of the original vehicle manufacturer’s factory design. They ensure the only the highest quality leather, suede and vinyl materials are used to maximize comfort, design and satisfaction. WHAT ARE ALL OF MY OPTIONS FOR MY NEW KATZKIN® LEATHER INTERIOR? For the best answer on all the ways to customize your vehicle, we recommend calling or visiting Andrew Toyota. Please reach out to our Service Manager, Allen Good, (414) 509-2781, or email him at agood@andrewtoyota.com.